Whether you have a specific question or are just looking for general direction, Raven Faery also has readings available!! 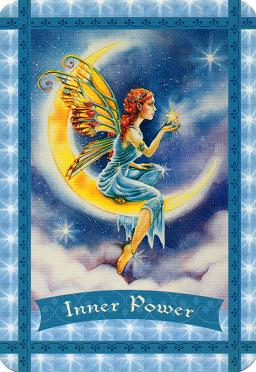 With several Oracle decks to choose from, I will be guided by intuition, Angel/Faery/Animal guides and Spirit combined with your personal energy to help you on your journey. I use crystals, oils and herbs to enhance your reading experience. When you purchase a reading by Raven Faery, you will receive the reading plus a pendulum question to help you out even more!! Readings are available by phone or in person if you reside near the Huron/Sandusky, Ohio area. Reading parties are also available upon request for a super fun and unique experience (location and travel to be discussed during the planning phase)!! So...go ahead and book a reading or party with me whenever you feel a bit more insight and/or clarity is needed along the way!! NOTE: Price reflects the cost before a shipping charge which I am unable to remove. Total is $40 for a half hour and includes 1 pendulum question. Thank You!! NOTE: Price reflects the cost before a shipping charge which I am unable to remove. Total is $75 for one hour and includes 1 pendulum question. Thank you!! NOTE: Price reflects the cost before a shipping charge which I am unable to remove. Total cost will be $20.00 for a 15 minute reading. Thank You!